Wear the Lotus men’s Claude sandal around-the-clock when on holiday this summer. 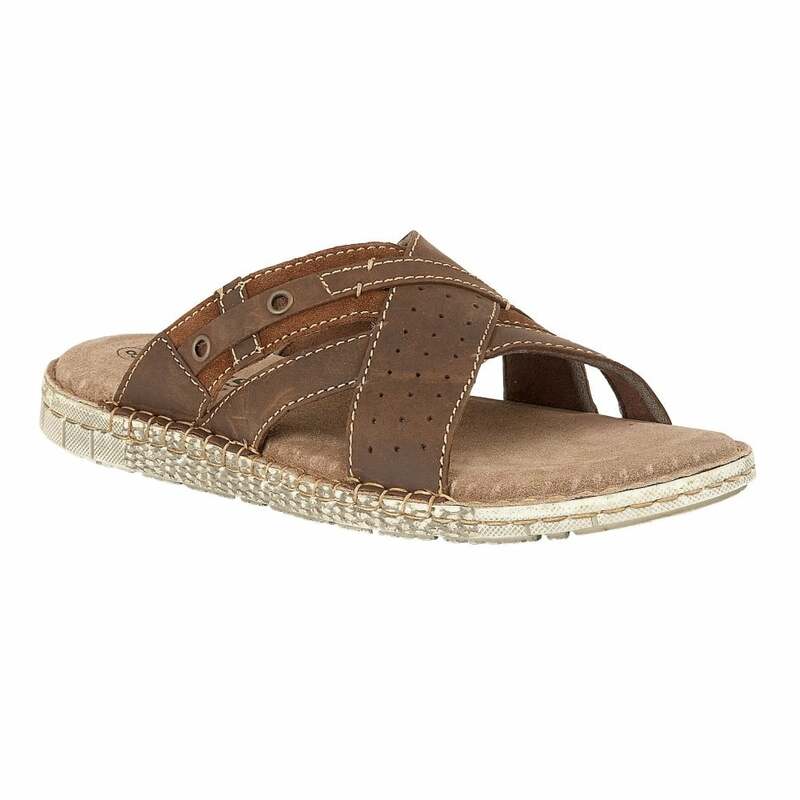 This brown open toe slide boasts subtle detailing that all effortlessly unite on the textile upper, including contrast stitch detailing, basket weave stitching, subtle metal hardware and punch work. This Lotus men’s mule also encompasses a cushioned footbed to ensure it is exceptionally comfortable to wear.